Can you teach how to fight corruption? Just last week, around 3,000 high school students protested outside Cypriot Parliament after Cyprus agreed the 10 billion euro ($13 billion) bailout with the European Union. Break out of demonstrations around the world makes me wonder- what is it that young protesters really do? Express their anger? Why anger? I can‘t help perceiving angry faces with provocative posters as a result of long-lasting frustration due to incapacity to speak-up and be heard. While protesting is a good way to express the view, what youth can actually contribute with besides producing posters and taking them in front of institutions? My name is Karolis, I am 27 and I have been working with Transparency International Lithuania for two and a half years by now. 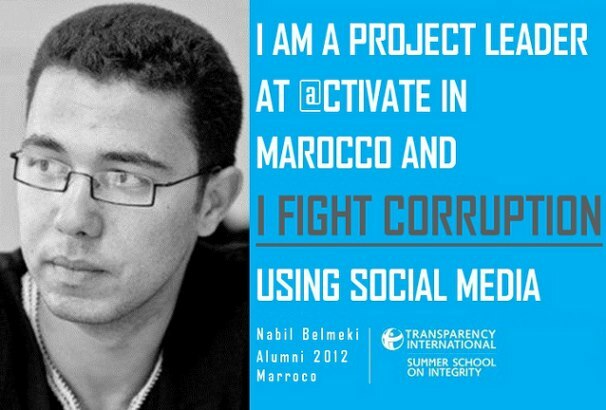 I know plenty of other young friends working in anti-corruption field – there is Matej from Bratislava, Nikola from Oslo, Maksym from Kyiv, Ibrahim from Tripoli, Nabil from Marakesh and many, many other young enthusiasts working to fight corruption. They all have one thing in common – I bet you won‘t see their faces in public demonstrations, though I‘m sure they support them as such. Instead, they work hard everyday to enhance transparency and public accountability around them. One thing is clear – the change is impossible without the involvement of youth and the question is how do you convince and inspire young individual to engage? At Transparency International Lithuania, we have designed an intensive anti-corruption course for those young folks who have passion for a change. 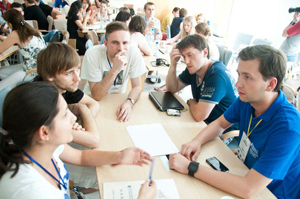 Around 100 leaders of tomorrow from more than 50 countries worldwide gather in Vilnius for seven days every year in July and gain knowledge and skills to understand, analyze and fight corruption. Our scholarship framework allows us to pick the excellent youth disregarding their financial situation. This framework, and only this framework allows us to gather the group of super inspired and determined youth. Following the Summer School, a large number of our alumni join anti-corruption movement and this is evidenced by their stories. Need proof? Check out the pictures! Well this is great, but what is it that all of us can do to make sure as many future decision makers get anti-corruption training as possible? This year, we have decided to open a possibility for all of us to help more excellent but under-privileged youth to attend the course in Vilnius. We will be collecting donations throughout april at the Global Giving platform and using the money solely to support participation of those who otherwise would not be able to attend. All of us can chip in and help inspired individuals, such as Halyna Kokhan (who after the School in 2010 went on to work with Transparency International in Ukraine) benefit from the experience of anti-corruption guru, such as Daniel Kaufmann. Help those passionate realize their passion for a change.